Living your authentic truth is vital for your health! The figure you see above is the wise elder on the 11th sacred robe. 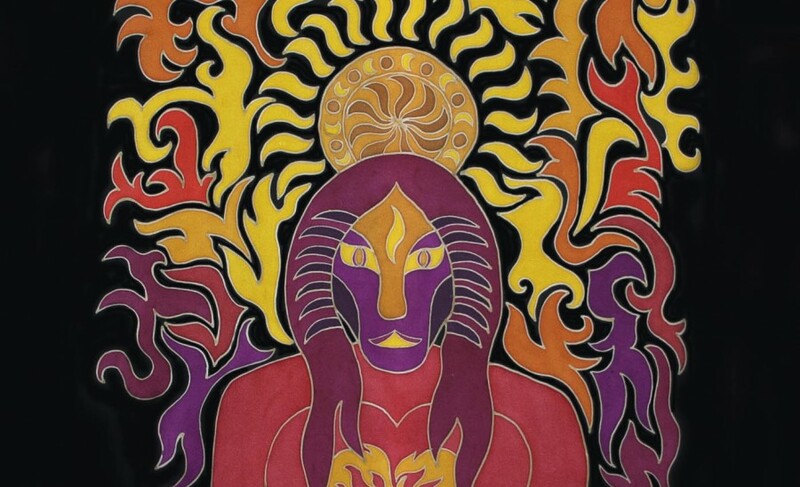 This is Sekhmet, an Egyptian Goddess who will help you find and resonate your truth. She will also helps you burn away anything that is not true about you. See all the fire? When your inner fire burns away what is not true, you will feel this warm, fiery glow all around you. Everyone’s truth is unique and different. This is relieving because only you can figure out what your truth is. No one can tell you, control you, manipulate you or try to persuade you what your truth is. It is utterly and exclusively yours! How can you resonate with your truth and how can you express your authentic truth? Let’s start with some creative ways to imagine TRUTH. Live the truth of the moment. It gives confidence to everyone around you when you are resonating in your truth. Be the truth of who you are ALL the time and deliver that truth in a compassionate and loving way. This is the resonance of the truth of who you really are. The truth is that you are LOVE. Don’t just see the truth, be the truth. If you embody your truth, then you accept your mission. Listen to what rings true. Be in the intention of truth. When truth is spoken and you are ready to hear it, your entire paradigm shifts. Ponder this list and see how it moves in you and through you.